To reveal lots of lavender paper from Majadesign's Ska' vi ta en collection. This album (or rather a slightly modified version of it) will be taught as a part of a scrapevent in Uddevalla (Sweden) that Maja Design is sponsoring. A very very big thank you to Creativica and Karin for this opportunity. 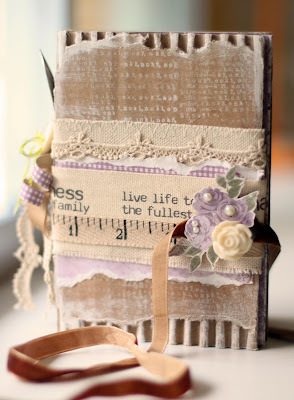 My sweet friend Karin will be teaching the class and I hope everyone will enjoy making the book from scratch. The link to the event’s blog is: http://creativica.wordpress.com/scrapevent-uddevalla/ if you’d like more information. This is GORGEOUS! I loveeeeeeeee the colors and the lace! 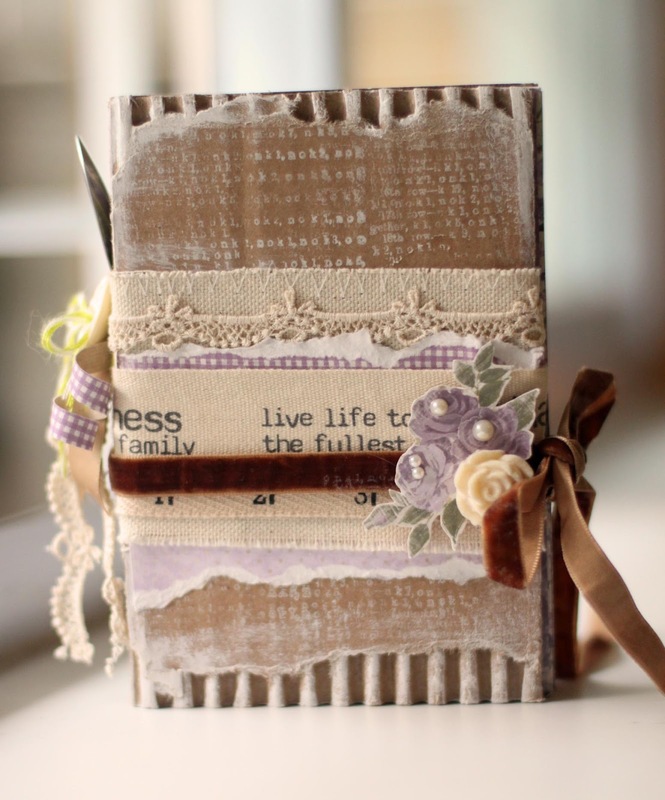 Fantasic mini book, Sharon! Do you have a tutorial available? I would love to make one for myself! Hi Sharon, this is sooo pretty!!! so gorgeous! I love the corrugated cardboard! so cantek, can make one for me ha? you are really a queen of book binding and never fails to impress me la.. OMG..OMG!!! This is very cute album...I love it very much!!! The binding story makes me laugh *loud...I didnt realize it was a spoon!! You are really amazing..really!! LOVE LOVE LOVE LOVE this. I too would love a tutorial. You make beautiful things. I have spent all morning on your blog. This is such a great and wonderful work!!! I love and I´m so pround to have you with us. 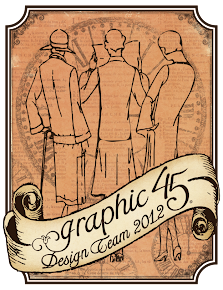 I will like to say congratulations for the first round in Graphic 45!!! I wish luck for you!!!! 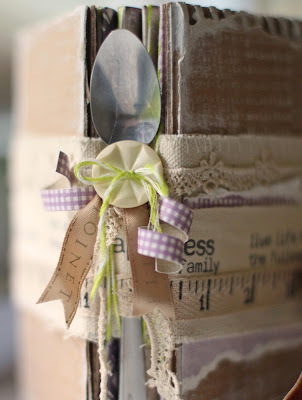 Spoon on your bookbinding! I want to do that too! Heeee.... 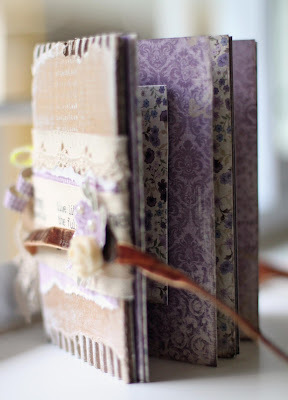 I love bookbinding & pretty little books;) TFS Sharon!